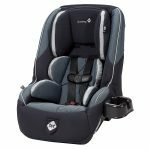 The Safety 1st Guide 65 and the Graco My Ride 65 are both convertible car seats that will let you keep your child safe in your vehicle in either a rear facing and forward facing position. 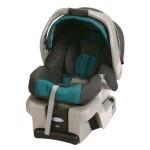 The two models can be used for children in a forward facing position up to 65 lbs. 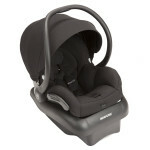 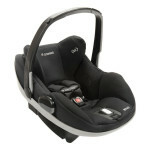 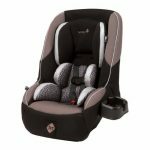 With the two car seats having similar features and the same functions how do you know which one to choose? 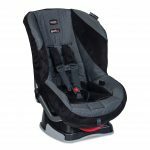 We have assessed the details on both the Safety 1st Guide 65 and the Graco My Ride 65 to give you a better idea of which one is the best. 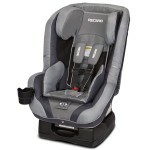 Both the Safety 1st Guide 65 and the Graco My Ride 65 can be used in a rear facing position to hold a child up to 40 lbs, meaning your child will be safer for longer compared to some other models. 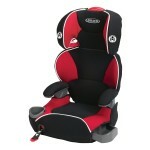 Both the car seats have been side impact tested, giving you peace of mind. 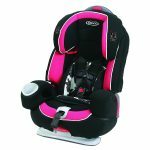 The Safety 1st Guide 65 and the Graco My Ride 65 both feature 5 point harnesses that will keep your child secure in their seat up to 65 lbs. 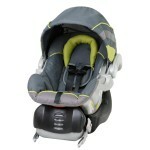 The two models are also lined with energy absorbing foam to give your child extra protection. 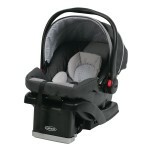 The Graco My Ride 65 measures 27.8 by 20.8 by 26 inches and weighs 15 lbs compared to the more compact Safety 1st Guide 65 that measures 27.25 by 18.5 by 20.25 inches and weighs 14 lbs. 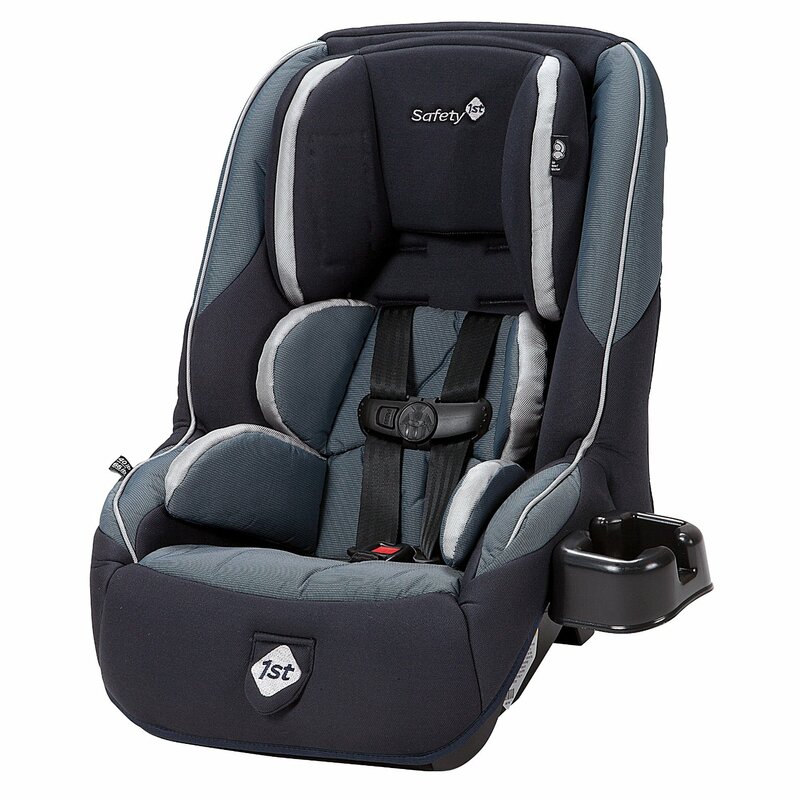 The Safety 1st Guide 65 is a good choice for smaller cars as it is narrower and boasts being able to fit three seats along the back seat of your car. 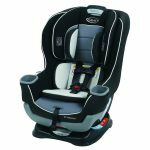 The Graco My Ride 65 will take up more room on the back seat and will take up more room in front when in a rear facing position. 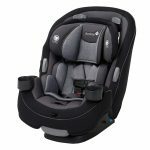 The Graco My Ride 65 features convenient cup holders built into either side of the car seat, meaning your child will always have access to their drinks or snacks while you’re busy driving. 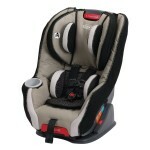 The Safety 1st Guide 65 has a cup holder that can be attached to the side of the seat. 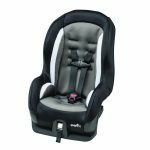 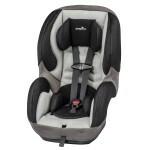 The Safety 1st Guide 65 has extra body cushions that will keep an infant snug in their seat compared to the Graco My Ride 65, which has removable infant cushions that are smaller in size. 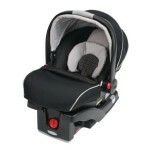 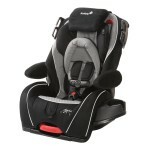 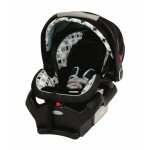 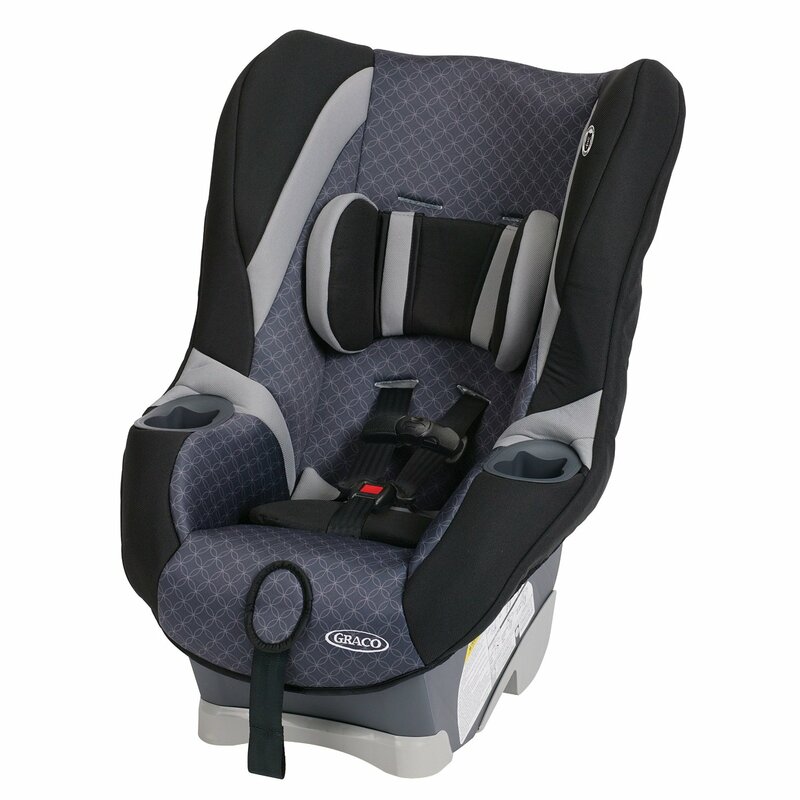 The Safety 1st Guide 65 has an adjustable headrest so your child will be comfortable even as they grow. 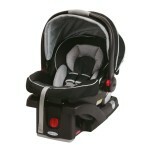 Both the models are easy to install and both are Latch equipped to make it easier to install and remove. 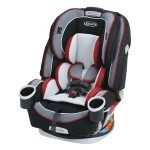 The Graco My Ride 65 has a level indicator so you will know that the seat is installed correctly. 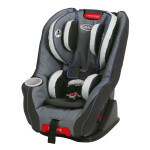 The Graco My Ride 65 and the Safety 1st Guide 65 both have harnesses that can be adjusted at the front, which will save you time when getting your child in and out. 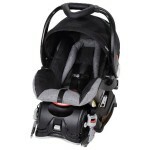 After looking at the Safety 1st Guide 65 and the Graco My Ride 65 we think the better model is the Safety 1st Guide 65 as it has additional features that make it more comfortable. 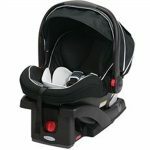 The Safety 1st Guide 65 has the added benefit of taking up less room in your vehicle, making it great for taking on trips. 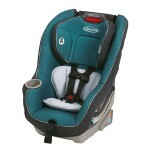 Graco Size4Me 65 vs. Graco My Ride 65: Which Graco will you choose?